Join us on the green in 2019. ​1000 ft above sea level. Reaching the heights that other bowls clubs can't! The club "evolved" circa 1983 by, founded a bunch of "ageing" rugby players looking for summer recreation. Recruitment of some bowlers like David George, Iain Russell, Don Wibley and other interested parties living in the village resulted in the carving out of the green from the rock of the Garth Mountain, and by 1991 the club was ready for competition. In 1992 Dr Kim Howells MP, officially opened the green and a new era in the life of the village began. Some uncomplimentary comments were made about the standard of the green in its early years, but under the professional eye of Head Groundsman Harold Evans the surface quickly improved. In recent years Bill Malcolm has taken on the duties with volunteers led, formerly by Russell Howell and more recently, Brian Ilbery, improving the green and surrounds beyond recognition. Spoons (social games) night is held every Monday at 6pm throughout the summer - whatever the weather - with, previously, an average attendance of almost 40 !! An annual feature and highlight is the club tour- normally in the first week of June - which is well-attended and thoroughly enjoyed by all. The 2018 tour was a great success and was based in Tenby with matches against Tenby, Saundersfoot and Pendine, taking advantage of some of the most picturesque coastal locations in Wales, if not the world. This year we are heading for Somerset and will be staying in Weston-Super-Mare. More details on The Latest News page. September 2016 - After three years' extremely hard work applying for grants combined with members' generosity in pledging personal money, the club raised sufficient funds to construct, for the first time in its history, a purpose-built clubhouse. Over 50% 0f the funding was provided by the Welsh Government through its Aggregate Levy Fund. We are already becoming immensely proud of our new home and look forward to officially opening it and welcoming​ our friends and fellow bowlers there next season. More details found here. 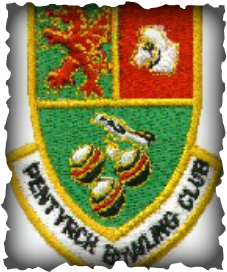 The Club is strongly linked with all village activities including the Pentyrch Open Gardens, in addition to the Rugby, Cricket, Football & Tennis Clubs. The local primary schools send their pupils for coaching each year - culminating in a match between the two schools in their summer term. young and old, experienced or novices. Only £40 for your first season which is superb value compared to other bowls clubs. Furthermore, giving you access to one of the most accessible and fun games for all abilities and ages.